If you missed #9 click here. Best Moment: Landing the perfect shot from afar on a sudden death. Or using the ninja rope through the narrowest of gaps. Or using the holy hand grenade. Or using the prod successfully. I can't choose one! 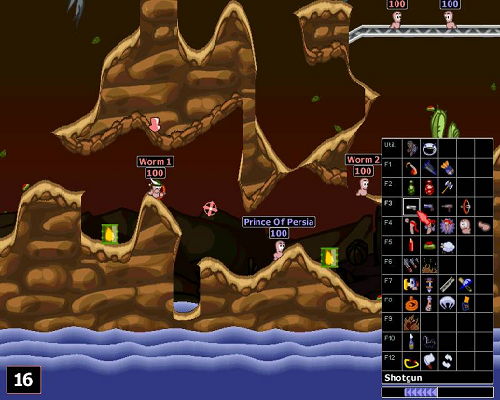 This is probably the best Worms game ever created. It's certainly my favourite, and the one I go to whenever I fancy a game. I've played this game so many times with so many different friends I've lost count. It's just a classic. 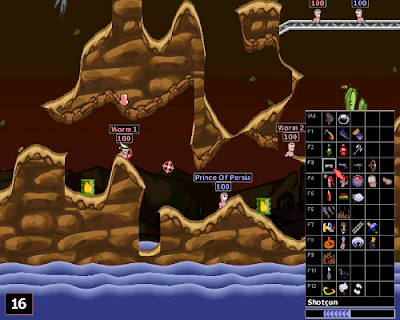 The first Worms game was great, but it was released at the wrong time. The world was getting ready for 3D games, bigger and brighter pixels. The first game had a good base but looked poor. That's when Worms 2 and Worms Armageddon came in. They made the graphics bigger, brighter and bolder. They made the game funnier. They made the weapons far more outrageous. The two games are just brilliant. They then tried to make Worms 3D and that just never felt right. 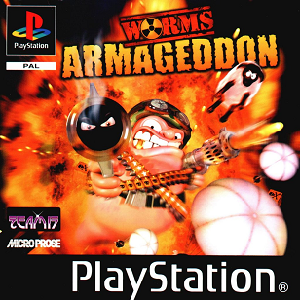 Worms Armageddon is where the Worms games peakedand I'll always love playing it, it provides the perfect balance of comedy and strategy, it's for me the perfect party game for adults. I just love it. Looking for #7 in my list? Click here!